This week’s prompt is 12, so I decided to focus on a place with 12 letters: South Windsor (and the surrounding area), in Connecticut, along with three generations of ancestors who helped shape the area. South Windsor is a town in Hartford County, founded in the 17th century and, along with East Windsor, is a daughter city of Windsor, and sits inside the original Windsor city limits. Modern day map of the Windsor area, for the purpose of understanding how closely related the Windor towns are, and their relation to Hartford. Windsor was the first permanent Puritan colony in Connecticut, with most of its inhabitants coming from Dorchester, Massachusetts. Among them was my 9th great-grandfather, Thomas Stoughton, listed among the Founders of Ancient Windsor. It is believed he was among a group who arrived on the “Mary and John” in 1630, although the original manifest has been lost. Thomas is among those listed on the Founders of Windsor monument. Thomas would have been around 42 when he came to the United States, along with their six children. His wife Elizabeth died in 1627, three years prior. Thomas (senior) died in Windsor on 25 March 1661. 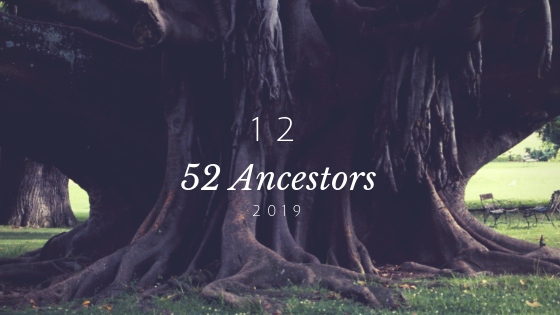 My 8th great-grandfather Thomas was their youngest child, born in 1624. He married Mary Wadsworth (her father I wrote about HERE, who was a founder of Hartford) on 30 November 1655 in Windsor. They lived in the Old Stone Fort, also known as the Stoughton House. This Thomas died in Windsor on 15 September 1684. This marker sits at the site of the Stoughton House, located at Rt 159 North, Palisado Avenue, heading away from Windsor. Photo from https://www.yelp.com/biz/old-fort-marker-windsor. It was my 7th great-grandfather, also named Thomas, who was born in South Windsor on 21 November 1662 and the last child of Thomas and Mary. Thomas was a Captain in the trainband (a division of civilian soldiers, or a militia) in Windsor, and served as a deputy to the General Assembly from Winsor during sessions in 1699, 1725, 1726, 1729, and 1733. In addition, on 9 April 1694, Thomas was among Windsor residents who called for the settlement of a pastor in the area. Reverend Timothy Edwards came to the town the following month and was formally ordained the town’s pastor in March 1695. Two years later, Thomas would marry Timothy’s sister Abigail. Their son Timothy is my 6th great-grandfather. Thomas died in Windsor on 14 January 1748.